The role of enterprise service management technology has changed. For many years the focus has been on improving IT efficiency through process automation and industrialized IT. While this approach has many benefits, it doesn’t go far enough to address the needs of the modern digital business. User experience and productivity are the new measures of success. 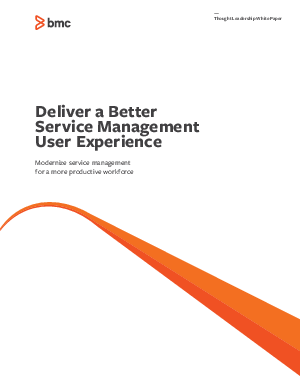 This white paper explores the four key elements for modernizing service management through engaging user experiences.